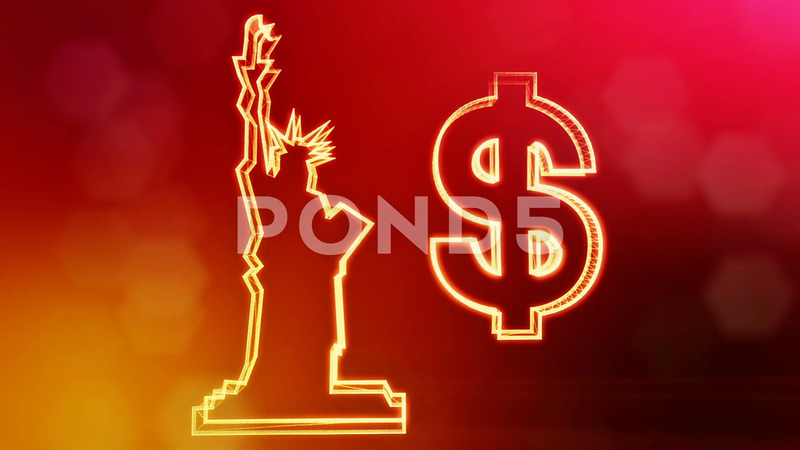 Description: dollar sign and emblem of The Statue of Liberty. Finance background of luminous particles. 3D loop animation with depth of field, bokeh and copy space for your text.